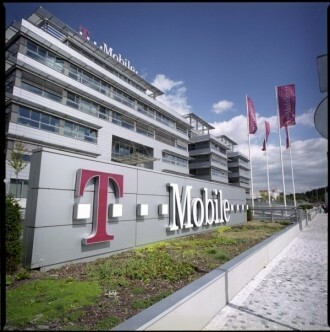 T-Mobile USA has released fourth quarter 2011 operating results, highlighted by a loss of more than 800,000 contract subscribers over the three month period ending December 31, 2011. The report expressly blamed the loss of contract business on the launch of the iPhone 4S by three nationwide competitors. At present, T-Mobile is the only major US carrier that doesn’t offer Apple’s flagship handset but that could possibly change in the near future. As part of the company’s “Challenger Strategy” to gain lost ground on the competition during the failed acquisition by AT&T, T-Mobile announced they will be investing $4 billion into network modernization and LTE deployment set for launch in 2013. More specifically, they will be installing new equipment at 37,000 cell sites and refarming old 2G spectrum to build out the new network. T-Mobile expects to reach broad deployment of LTE, with service in the vast majority of the top 50 markets and 20 MHz service in 75 percent of the top 25 markets. CTO Neville Ray noted that "our 4G network will be compatible with a broader range of devices, including the iPhone." A bit of foreshadowing, perhaps? Key to the new 4G LTE strategy is additional spectrum and cash that T-Mobile will receive as part of the failed takeover by AT&T. T-Mobile has a lot of work ahead of them as competitors have been rolling out their LTE networks for some time now. Verizon offers LTE service to over 200 million Americans in 190+ markets. At last count, AT&T had launched 4G LTE service in over 26 major cities including Los Angeles, San Francisco and New York City with plans to finish the rollout by the end of 2013. Newcomer Sprint recently announced that Atlanta, Dallas, Houston and San Antonio will be the first four markets upgraded to 4G LTE in the first half of this year.